How to delete an item? – Customer Feedback for YunaSoft Inc. The fastest way to delete an item is to swipe to the left the item within the mini window. 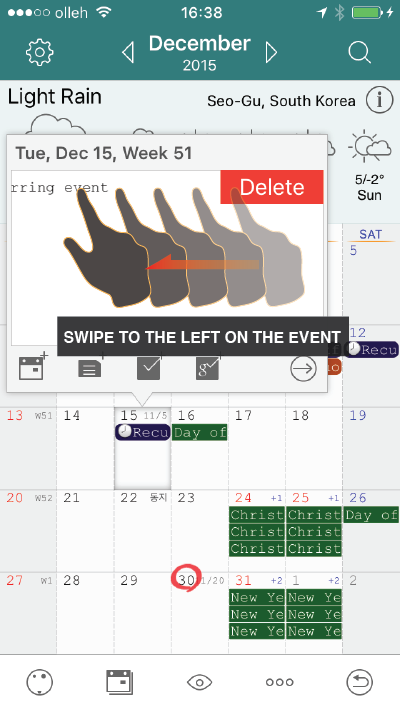 Click on a day and swipe to the left the item to show red DELETE button. Another way is to click trash bin icon within the event details page.